Partially supported by the Eduard Cech Center and by the Mathematical Institute. and Fall schools: Pec'01, Pec'02, Pec'03, and Pec'04. Information about the Fall school: krajicek@math.cas.cz. Useful information for foreign visitors of the country. 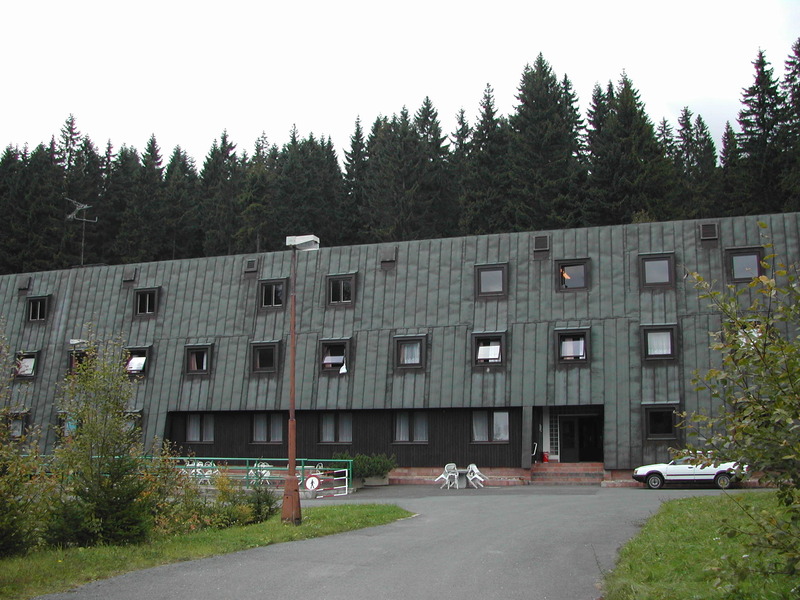 We also use a nearby pension Vysoka Straz. September 11.-17, 2005 (arrival Sunday 11 - departure Saturday 17.). One theme is usually from mathematical logic, and one theme is on a topic from or relevant to complexity theory (but with an eye on logic audience). This choice reflects my view that the connections with complexity theory are one of the highlights of contemporary mathematical logic. Lecturers: Jan Krajicek and Pavel Pudlak (both Prague). Friday will be devoted to lectures of participants on their own work. There will be plenty of time for informal program and for walks in surrounding beautiful countryside - Pec is in mountains Krkonose ( The Giant Mountains) on the north border of the country. Accommodation is in double rooms with own bathroom. There is no conference fee. Everybody pays only his or her full board (accommodation and meals). The price will be at most 450 CZK (currently 15 Euros) per day, the same for Czech and foreign participants. I shall collect the payment during the meeting. If you are interested to come, please write me. Everybody is, in principle, welcome to participate. Graduate students have priority. We are limited somewhat by space. Deadline for application: May 24, 2005. In the application very briefly outline your academic background. I'll try to accommodate later applicants too but I cannot guarantee that there will be enough space. I request that when you apply you are reasonably sure of your program and intentions to really come: People cancelling just before the meeting is hard to replace by another participants and the cancellation simply results in a loss of a slot. Zofia Adamowicz (Warsaw), Klaus Aehlig (Muenchen), Olaf Beyersdorff (Berlin), Marta Bilkova, Andrey Bovykin (Liverpool), Stefano Cavagnetto, Andres Cordon-Franco (Seville), Radek Honzik, Pavel Hrubes, Emil Jerabek (Utrecht/Toronto), Joost Joosten (Amsterdam/Prague), Leszek Kolodziejczyk (Warsaw), Jan Krajicek, Marcello Mamino (Pisa), Phuong Nguyen (Toronto), Michal Pelis, Martin Pergel, Steven Perron (Toronto), Pavel Pudlak, Zenon Sadowski (Bialystok), Alan Skelley (Toronto/Prague), Antonin Sochor, Miroslava Sotakova, Neil Thapen (Oxford/Prague), Stevo Todorcevic (Paris/Toronto), Iddo Tzameret (Tel Aviv), Jip Veldman (Bonn), Thomas Vetterlein (Dortmund), Taoyang Wu (London), Konrad Zdanowski (Warsaw). Some practical info for the participants.